Oktoberfest is not the only thing that October is famous for, it’s also the breast cancer awareness month. A campaign, set up to spread awareness and educate people on breast cancer. 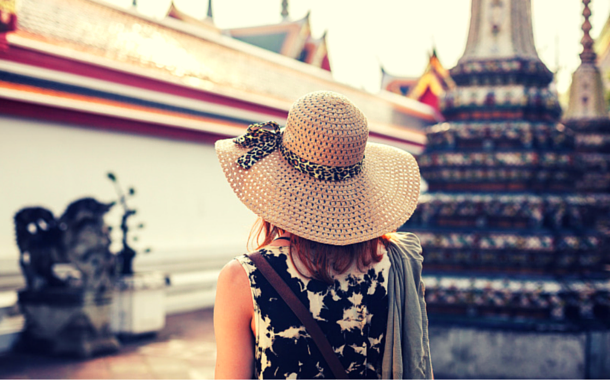 So it’s only natural that we have a blog dedicated to all the women travellers out there. Over the past few years, solo female travelling has gained a lot of traction, with more and more women booking flight tickets and flying off into the world. Setting off on your own is something everyone should experience. While being extremely rewarding it can also be a tricky task. So we bring you 7 tips, that can help you stay safe and ensure that your journey is a memorable one for all the right reasons. Conduct a thorough background check on the place you plan on visiting. By that we don’t mean just checking up on all the must visit places and the tourist spots. Check out how safe the place is for a solo female traveller. If there are any precautions or cautionary tales. 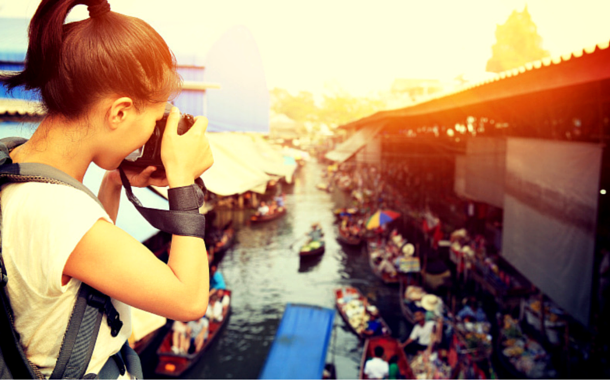 Hit up some of the chat sites or forums, connect with other female travellers who’ve been there before to get a better read on the place. Going off grid is tempting, and yes once in a while absolutely necessary, but not at the risk of safety. We aren’t saying constantly text message or give social media updates, but do inform someone before you set off someplace. Text them once you return so they know that you’re safe and haven’t been kidnapped. Just two simple texts, that’s it. It’s easy to just lose track of time and your surroundings and stroll away on a picturesque road. While it does sound very dreamy and alluring, we recommend you don’t try that. Yes, admire your surroundings and take it in, but at the same time be aware of your surroundings. This will prevent you from getting lost or your pocket getting picked. Keep all your important documents and valuables safe in your locker, in your hotel room. If you’re carrying expensive jewellery, the best place for them is your hotel safe. This reduces your chances of being robbed or mugged and you can enjoy your day carefree. Enjoying the nightlife of a place is a part of the whole cultural experience. So if you’re going to party , and plan on knocking back a couple of drinks be very careful. Keep an eye on your glass at all times and don’t leave it unattended. Try not to get inebriated unless you’re with someone you can trust. If you do end up gulping down one too many drinks, ask the bar or the restaurant to call a cab for you to take you to your hotel, rather than relying on the generosity of a stranger. Always have a back up plan. Prepare for the worst case scenario. Not saying that it will happen, but being prepared will help you weather the storm better. Keep all your emergency contacts handy. If you do find yourself in a tricky situation, trust your gut and think your way out of it rather than having an anxiety attack. Being cautious and thinking about your safety is important, but that doesn’t mean you forget to let down your hair and enjoy. Don’t be over cautious. If you want to explore the world and experience all that it has to offer, you have to start by trusting it. A few solo trips and you’ll come to realize the world isn’t as big and scary as you thought it to be. Enjoy and have the best time of your life.